Anything from a morning coffee to an early evening aperitif can be enjoyed in our bar and lounge, which is also well stocked with the latest newspapers and magazines. 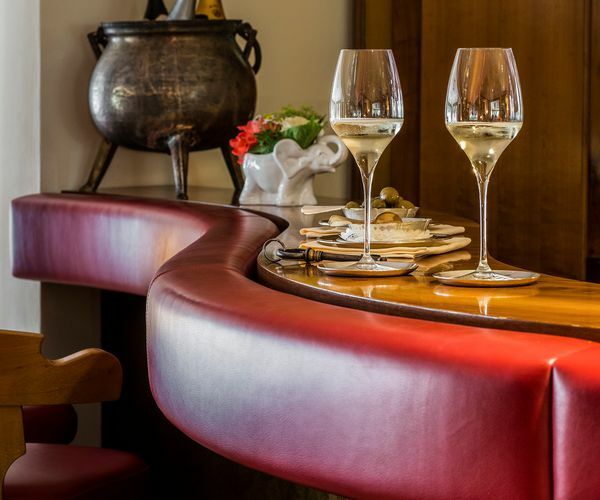 The Hotel Elephant's stylishly appointed bar is one of Brixen's real hidden gems. The laid back atmosphere and high quality service allow you to sit back and relax in comfort. Open daily from 07am to 11pm. Or do you prefer an sparkling aperitif? No matter how you decide - make the most of your stay in company with family and friends. Our bar and our lounge area on the first floor is the perfect place for receptions, meetings and business appointments. You can of course rent both rooms for your individual rent. Please get in contact with us!